Meridian Environmental help you secure your energy future by designing and installing Solar Photovoltaic (PV) systems, which generate clean and efficient electricity. We are a customer-focused company who guide you through every stage of the installation process, whatever size your project. 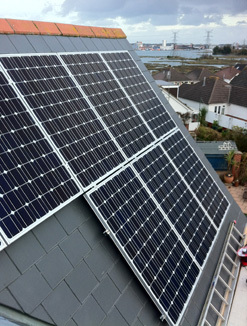 As an accredited installer and supplier of Solar PV systems we guarantee a high level of service.